This past weekend, 145 participants attended the No One Left Behind Golf Tournament in Half Moon Bay. This event helps bring awareness to firefighters with cancer and raise funds to assist them and their families during their time of need. It was a great event for a great cause! A special thank you to Mike Morlan, founder of No One Left Behind, Patrick Griffin, CZU Chapter Director, Kevin O'Meara of the CDF Firefighters Benevolent Foundation, and all those who generously volunteered their time to make this event happen. Make sure to sign up next year! Malena is the daughter of David and Peggy Hawks of Chico, CA. She is enrolled CSU Chico and is pursuing a Bachelor's in Liberal Studies, her teaching credential and may minor in Child Development. Malena is so determined to complete her education, she took college classes during her Senior year of high school. Her dream is to become an elementary school teacher and enable others to pursue their dreams. Colton is the son of Joseph and Danese Pimentel of Columbia, CA. Colton is continuing his college education at the University of Oregon where he will pursue a Masters and possibly even his Doctorate in either biology or chemistry. He plans on obtaining a career in law enforcement and forensic science so he can help people by assisting with crime scene investigations. Elizabeth is the niece of Ken and Shannon Hale from Grass Valley, CA. She is currently enrolled at CSU Monterey Bay and plans on obtaining her degree in Liberal Studies. Elizabeth volunteered at an Outdoor School during junior college which is where her passion to educate other stems from. Elizabeth plans on using her education to become an educator herself. She wants to help future generations reach their potential. Christine is the daughter of Jeremy and Crystal Weir of Hemet, CA. Christine is a driven student and musician who has spent many weekend volunteering in the nursery of her church. She has chosen to study at UC Riverside to become a doctor. She credits her mother's motivation in helping her decide to pursue a career in the medical field. Sedar is the daughter of Jason and Shawna Kane from Cottonwood, CA. Sedar has a passion for law and agriculture and plans on attending Cal Poly San Luis Obispo. At Cal Poly, she plans on earning a Bachelor's in Agribusiness and then a degree in Ag Law. She plans on fighting for American farmers and ranchers, protecting their business and way of life to ensure they can continue to feed the world. Sedar also plans on having a cattle ranch of her own someday. Christina is the daughter of Mike and Tammy Lopez of Chico, CA. Christina has a passion for learning and a belief that higher education is the path to accomplishment and success. Working at a law office during high school gave her a strong work ethic that continues to benefit her in tackling her rigorous science classes and course work. She is currently attending CSU Chico and pursuing a degree in Exercise Physiology. Once completed she plans on applying to graduate programs to become a Physician Assistant. Brenna is the daughter of Bryan & Karrie of Redding, CA. Brenna is pursuing her Bachelor's Degree in nursing at Grand Canyon University, which hosts one of the top nursing programs in the country. Her passion for helping others has created the strong sense of dedication needed to thrive in the nursing field. Alyssa is the daughter of Jeff and Rheta Gahagan of Santa Rosa, CA. Alyssa is currently enrolled at Weber Honor's College at San Diego State pursuing Bachelor's degrees in biology and anthropology as well as minoring in chemistry and Honors interdisciplinary studies. Once completed she will pursue her masters in forensics where she will use her education and passion for using the largest to the smallest details to determine causes of death. 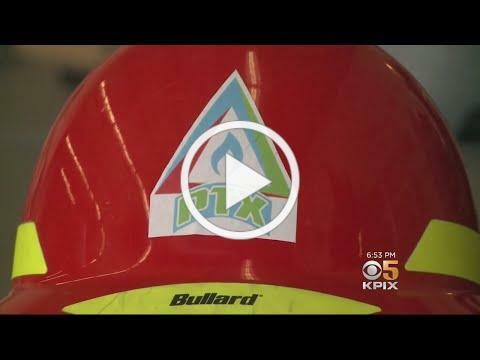 SONOMA (KPIX 5) - A Dutch company has come up with a way to potentially extinguish wildfires in record time. It's environmentally friendly, too, but the promising product is proving to be a tough sell in the U.S.
Forest fires in California are getting bigger, hotter and more frequent than ever before. Yet firefighters are still battling them the traditional way: dropping fire retardant around their perimeter and digging firelines. Burnout in the fire service is an area of growing concern in departments across the nation. Have you been running on empty? Chronic sleep deprivation, repeated or prolonged exposure to disaster zones, or simply neglecting your personal life to work overtime are all scenarios many IAFF members face. Most people don't associate tailgating with Halloween, but that's essentially what went down in Coffey Park on Wednesday night, when several dozen families displaced a year ago by a wildfire came home to celebrate "trunk-or-treat." Decking out their cars and trucks with twinkly lights, jack-o'-lanterns, ghosts, skeletons and all things glowing, they joined friends and neighbors in what for many in the Santa Rosa neighborhood was a declaration that community traditions will live on - even if many of its residents remain dispersed. DON'T FORGET TO CHANGE YOUR CLOCKS ON SUNDAY!!! Below is a list of both Active and Retired members that have bad addresses as of today. If your name is on the list or you have recently moved, please contact Danielle at (916) 277-9885 or dkelsch@L2881.org to update your address.